Industry Pharmacists Organization: IPhO is the only professional organization dedicated exclusively to advancing the careers of industry pharmacists by preparing them to contribute to the development, commercialization, promotion, and optimal use of medicines. The IPhO network includes over 60 student chapters, 500+ PharmD fellows training at 80 different companies, and thousands of accomplished industry pharmacists. In addition to providing unique, customized member benefits and services, IPhO raises awareness among employers and industry executives about the role that industry pharmacists play in drug development and appropriate medication use. 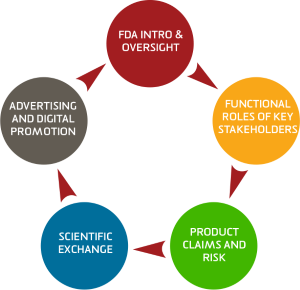 Center for Communication Compliance: Founded in 2008, CCC specializes in promotional compliance for life sciences with a focus on compliant and efficient innovation. CCC’s portfolio of eLearning, software and change management solutions were developed for biopharma and medical device companies, their communication agencies and non-profit associations. The company educates industry professionals on government and industry requirements; streamlines Medical, Legal and Regulatory (MLR) review through process improvements; and enhances cross-functional collaboration to drive business outcomes and manage risk. In the last ten years, CCC has launched an array of first-to-market products to address unmet needs in an increasingly complex regulatory climate. Members of the CCC Advisory Board include former government officials and compliance officers, regulatory lawyers, PharmDs, MDs, commercial veterans and behavioral experts.